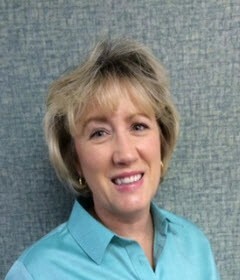 Terri graduated with her Associate in Applied Science and major in dental Hygiene from Wytheville Community College in 1990. Previous to hygiene school she graduated from WCC in 1988 with a Dental Assisting degree. She was President of her dental assisting class. Terri also has a North Carolina Hygiene license. Terri was born and raised in Galax, Virginia. She has worked for Drs. Kaugars and Miller since 1992. 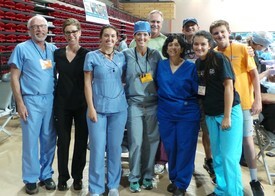 She is also an active volunteer at Cross Over Ministry's dental clinic. She is dedicated to helping people and bringing a smile to her patients' faces. In her free time she enjoys spending time with her husband, exercising and cross stitching. 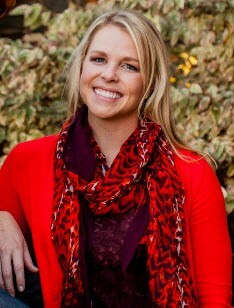 Megan graduated with her bachelor of science degree in dental hygiene from the University of Maryland Dental School. Previous to hygiene school she graduated from Virginia Tech with her bachelor of science degree in psychology. While in dental hygiene school, Megan was the recipient of the Class Spirit Award both her first and second year, the Patricia C. Stearns Scholarship and the Who's Who among College and Universities. She was also a member of the National Dean's List and Sigma Phi Alpha National Dental Hygiene Honor Society. Post graduation she was the Newsletter co-chair for the Maryland Dental Hygiene Association and a member of the American Dental Hygiene Association. She is also local anesthesia certified. Megan was born and raised in Richmond and worked for Drs. Kaugars and Miller as a surgical assistant before moving to Baltimore where she lived and worked for 5 years. Megan has returned to her hometown and is excited for the opportunity to work with Drs. Kaugars and Miller again. Her goal as a hygienist is to make patients feel as comfortable as possible during their visits. In her free time she enjoys spending time with her husband, exercising, cooking, watching football and reading. Marie Butler has over 40 years of clinical experience in providing excellent, continuing care for our patients. Marie has played a vital and important role with Drs. Kaugars and Millers office for over 20 years. Marie Graduated from Old Dominion University with a Bachelors degree in Science and is licensed as a Registered Dental Hygienist. She also completed Local Anesthesia and Nitrous Application courses at Virginia Commonwealth University's graduate school. She takes great pride in developing relationships with our patients and making patients feel comfortable. Marie genuinely cares about our patients and the importance of regular home care and professional re-care. In her spare time she enjoys spending time with her family and especially her grandchildren. In the Spring of 2012 Lisa moved to Virginia from New York and joined our family here at Drs. Kaugars and Miller. Her experience as a Pediatric Dental Assistant has given her wonderful talent when assisting in procedures for children at our office. Throughout the years, Lisa's combined experience in customer service and dental front office administration has made her a true asset to our office. Lisa has a true gift when it comes to efficient patient care. Her positive disposition allows our patients to feel comfortable and at ease when being treated. Lisa continues to grow with our practice each year, she enjoys assisting our doctors and providing our patients with the best dental and surgical care. Bruce has been with our team since 2004 and has over 20 years’ experience in the dental field. With a background in chairside assisting, she has an additional strength in understanding treatments, scheduling appointments and making each patient’s visit to our office as pleasant as possible. Her smile welcomes both established and new patients to our office. Her ability to put patients at ease and make them feel as comfortable as possible is one of the many qualities we love about Bruce. She is also available to answer any questions you may have regarding fees, insurances and payment arrangements, including Care Credit. Serving our community is an important part of our practice. Throughout the year as opportunities are available to give back, we take advantage to do so whenever we can.